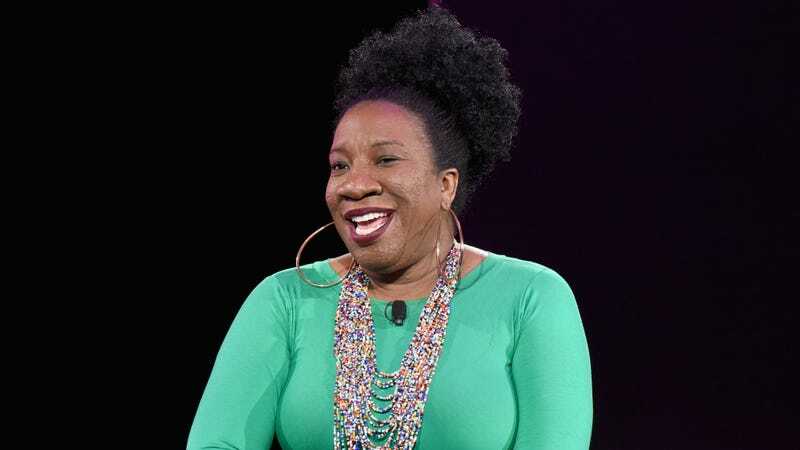 Tarana Burke speaks onstage during The 2019 MAKERS Conference at Monarch Beach Resort on February 8, 2019 in Dana Point, California. As the discussion around sexual violence continues and we collectively consider how best to combat it at its roots, education is key—as is accountability. With that in mind, this spring, ‘me too.’ is launching a first-time, five-stop HBCU tour across the Mid-Atlantic and Southeast United States, with support from Lifetime Network and The Root. Featuring founder Tarana Burke and scholar Dr. Yaba Blay, ‘me too.’ will bring its initiative to historically black colleges and universities (HBCUs) in an effort to foster both greater understanding of the issues and structural support within comparatively underserved institutions. Burke and Blay (also founder of the Professional Black Girl platform) are currently two of the leading voices in addressing the myriad issues of intersectionality, particularly as they affect victims of sexual violence. Photo: Courtesy of Me Too. Launching at Howard University in Washington, D.C., the ‘me too.’ HBCU tour will be “a multi-city initiative centered around creating safe and accountable communities for students, faculty and administrators.” The experience will include meetings with campus leaders, panel discussions, fireside chats with Burke, Blay and special guests, including author-activist Darnell Moore, and former NFL player-turned gender equality advocate Wade Davis. Most significantly, the tour will also include campus-wide commitments to preventing sexual assault.